If you've been paying attention to Escapism recently, you'll have no doubt read our piece on the fascinating history of Seattle-based outdoor brand Filson. Founded in 1897, by one Clinton Filson, the brand kitted out gold rushers heading north as part of the Great Klondike Gold Rush; gold rushers who, it's worth pointing out, faced some truly savage weather conditions en-route. Over 120 years on, and it's safe to say that while the gold rush has finished there's still plenty of happy Filson customers out there who absolutely love the quality of product that the brand produce. For those of you unfamiliar with Filson's merch, we've decided to put together this breakdown of some the label's best stuff. Enjoy. Wherever you end up taking the Filson's Duffle Pack, it's got a reassuring sense of durability to it that'll leave you confident about its survival chances. It's tough, lightweight, tear-resistant and has protective padding in it that will keep the bag's content secure. You can carry it like a duffle with the hand straps and removable shoulder strap, or you can deploy the backpack straps and use it as a pack. The choice is yours. In conclusion, top bag. 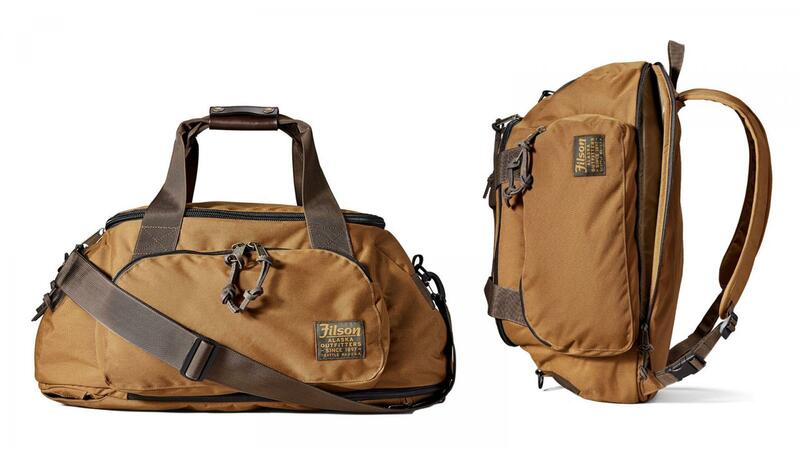 For more on the Ballistic Nylon Duffle Pack, visit the Filson website. There's a mistaken impression, in some quarters, that Filson are all style and no substance, that they're all show and no go. Products like the excellent Neoshell Reliance Jacket are the best possible response to such criticisms. 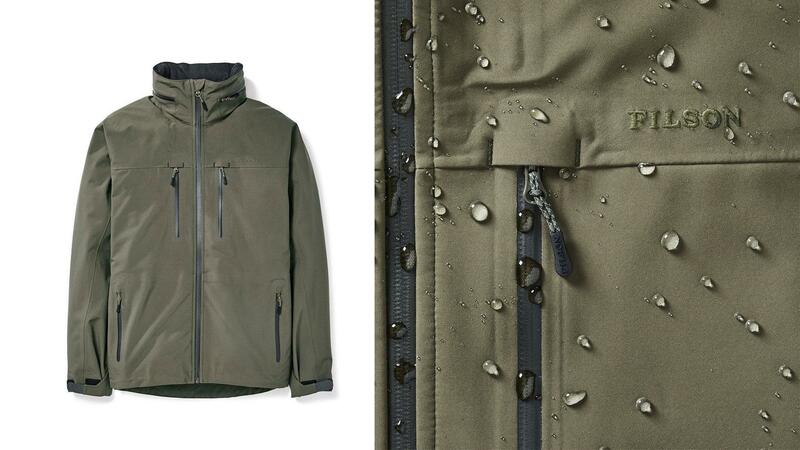 This item of technical rainwear is highly waterproof and breathable, and has a membrane that cuts out 99.9% of heat-robbing wind. It comes with a comfortable stretch, that allows for a range of movement in the outdoors, and is fully seam-sealed. Also, with its super stylish aesthetic, it really looks the part as well. 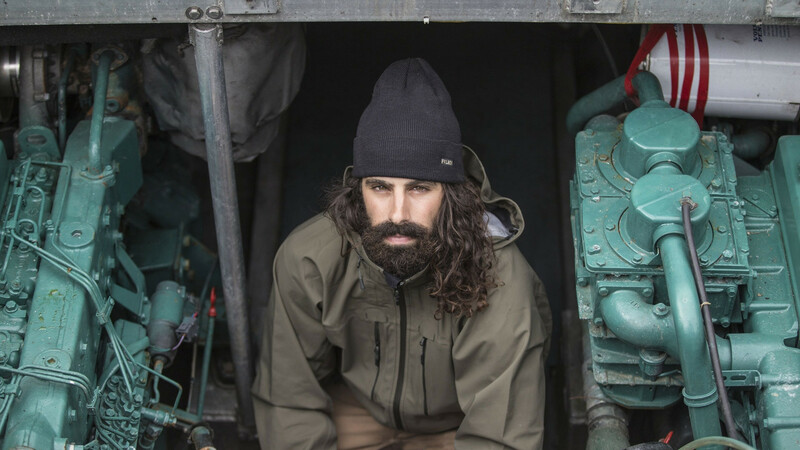 For more on the Neoshell Reliance Jacket, visit the Filson website. 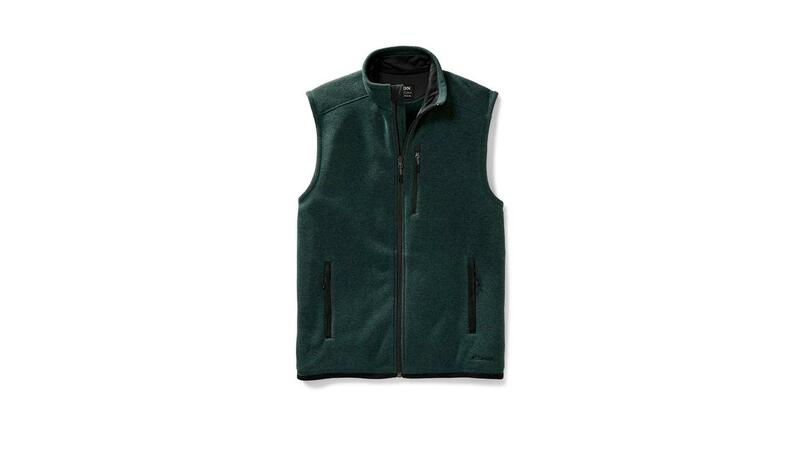 Filson's ultra-light vest is the ideal outer layer during mild days and the perfect midlayer when the temperature is low. Ultralight PrimaLoft Gold 60g insulation provides excellent warmth-to-weight ratio, retaining 98% of its insulating properties when wet. The abrasion-resistant Cordura® ripstop nylon shell has an elasticised waist, making it easy to layer under a jacket. Shout out also to the soft, comfortable, Moleskin-lined pockets that'll keep your hands cosy on chilly days in the outdoors. For more on the Ultra-Light Vest, visit the Filson website. Another example of Filson being more than capable of delivering good, technical, outdoor clothing can be seen in the Ridgeway Fleece Vest. Made of lightweight, quick-drying, Polartec®, this fleece will keep you warm in cold weather. It's also surprisingly breathable when the temperature's mild, and you're getting active. We're also digging how the rib knit here leaves the product with a sweater-like texture and the microfleece-backed chin guard feature. A proper bit of out-in-the-field kit. For more on the Ridgeway Fleece, visit the Filson's website. Making the wearer look like some sort of end of the 19th century explorer, and we truly do mean that as a compliment, the Short Sleeve Field Shirt (in Field Green especially) has a classic styling which pays tribute to the past. Fitted with military-grade, yes military-grade, chip-resistant melamine buttons and made of tightly woven midweight cotton, this whole shirt screams durability. 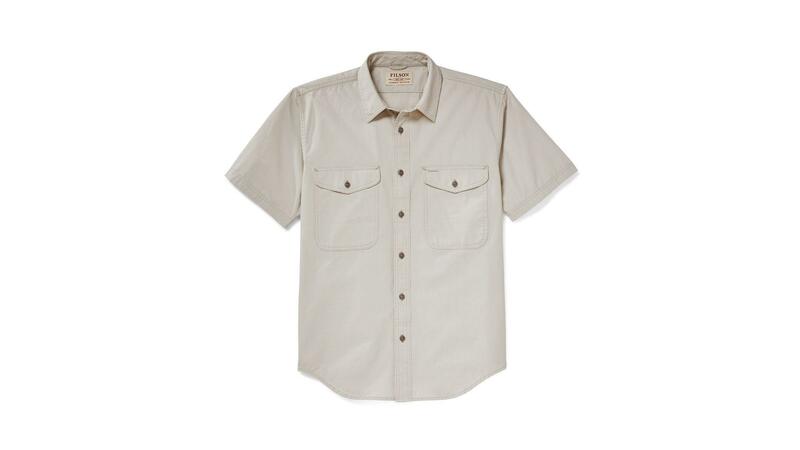 For more on the Short Sleeve Field Shirt, visit the Filson website. The Barrier Long Sleeve T-Shirt is made of highly breathable, quick-drying, double knit-polyester. Wear it on warm days in the outdoors, and you'll have a great time. Kudos as well to Filson for implementing odor-fighting treatment that'll help keep you feeling fresher for longer. Available in colours other than orange but, personally speaking, we love the satsuma vibes. Deal with it. 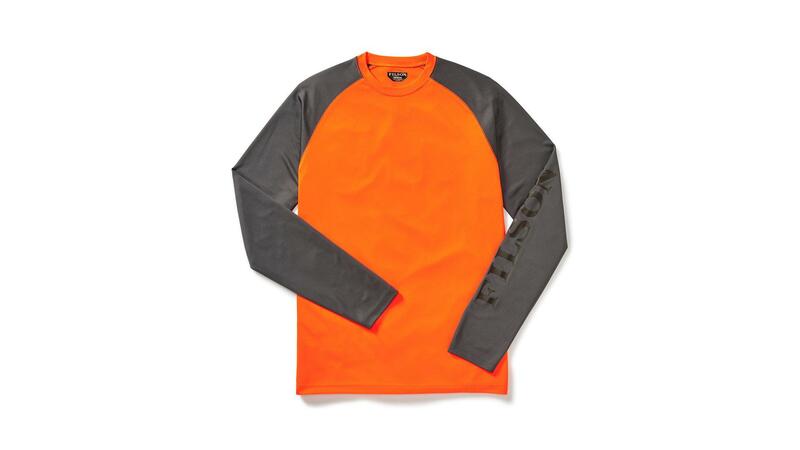 For more on the Barrier Long Sleeve T-Shirt, visit the Filson website. There's not many better things in this life than a good hat, and the Buckshot Twill from Filson is surely a testament to that. A classic six-panel job, made with durable cotton twill and breathable mesh, this cap is ideal for everyday outdoor usage. 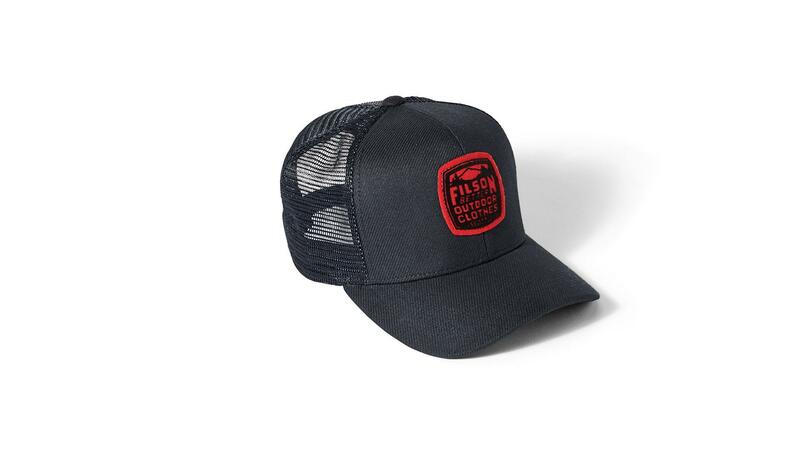 For more on the Buckshot Twill Hat, visit the Filson website.